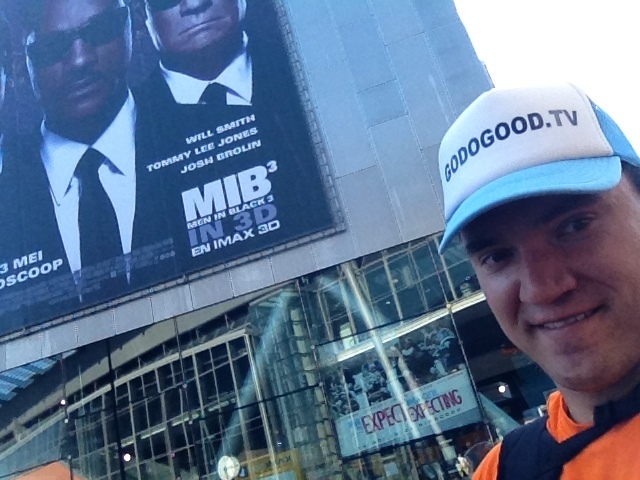 GODOGOOD INTERNATIONAL: MIB 3 3d IMAX - the secrets of the universe and nothing more! MIB 3 3d IMAX - the secrets of the universe and nothing more! What is the biggest secret? Time travelling? Seeing the future? In this 3rd episode of the Men with black suits and a world full of other life forms on earth, the dynamic duo comes into a dimension bejond expectations! If this is the last of al MIB's i am gratefull, but if there is more to come i will be amazed again! Will Smith playing J. Is seriously funny. The actors behind his partner K. Are also well done and great performed and i can say. I am not an actor, so how difficult was it to make this? ... all these 3d effects and special creatures make this movie a great and entertaining story to watch. I think without the green-screen it couldn't be made. The start of the movie is almost as great as the end! The character Boris is one hell bad creature with some scary but most of all powerfull looks to make this bad character thing be the perfect antagonist for the two heroes. But two Boris characters can be a bit to much of the evil to make the special secret smart and skilled agents J and K be smart enough to overrule this bad-guy-alien. That's why griffin comes in! What a perfect hero with such a perfect talent! An amazing act and edit on the special-effect scenes! 3 d is great, but IMAX IS IT! MIB in 3d IMAX was great enough to see twice in one weekend! What will i do on Sunday? Maybe some time travelling or watching the future and visualise all options? Maybe forget what i need to know? Don't ask questions you don't want to hear the answers on! Or of? Be in the being, don't ask, don't tell! Whatever happens and will happen, enjoy the happening while it is happening! Just see it and know it!